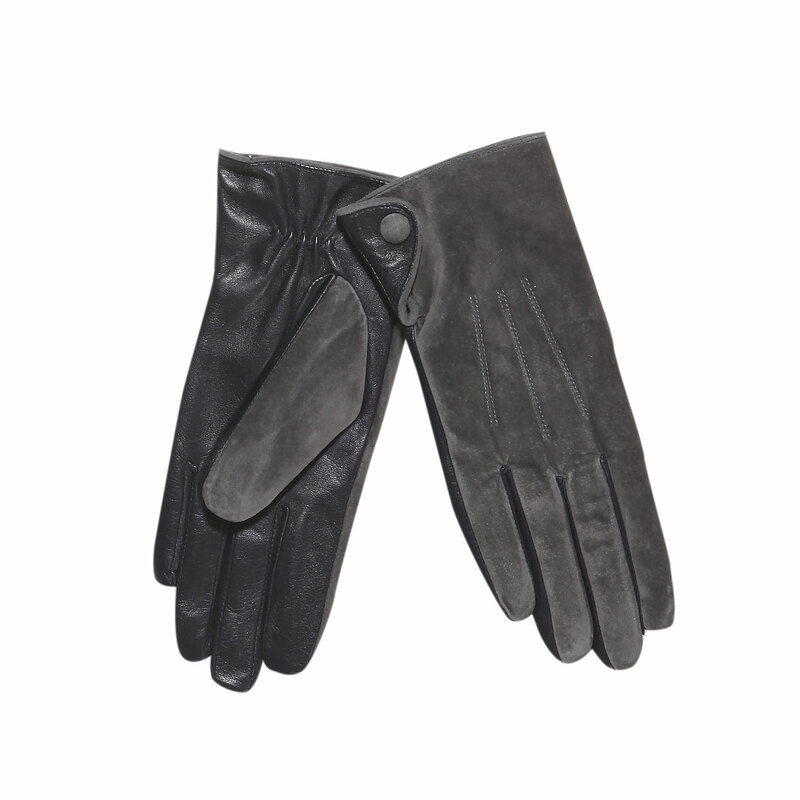 Elegant ladies' gloves combining smooth black and grey suede leather. A subtle detail on the side is represented by a small button. There is a fine rubber strip under the wrist for comfortable slipping on and better holding to the hand. Wear them with elegant coats or winter jackets.